There were many pharaohs that ruled in ancient Egypt and all tried to leave an eternal legacy. Of the many mighty pharaohs that ruled, only a few have actually accomplished such a goal. Those that have achieved the status have done so through luck as most the tombs have been destroyed or robbed. These unfortunate circumstances have left many holes into Egyptian history, life, and culture—now we can only image how a pharaoh and his people must have lived together in Ancient Egypt. Akhenaten – Learn about the pharaoh that changed Egypt and pushed his people towards a new religion–the belief in one god. Amenhotep III – This pharaoh ruled during a peaceful time and beautified Egypt. Ahmose I – This pharaoh set the stage for the rise of the New Kingdom where Egypt reached the peak of its power. Cleopatra VII – Read her incredible story and find out what she did to maintain her power as pharaoh. Hatshepsut – This lady was full of ambition and dressed like a pharaoh to preserve her dominance. Khufu – Read about his greatest accomplishment–the construction of the largest pyramid. King Tut (Tutankhamun) – Come explore the virtual tomb of the boy pharaoh and read about his life. Menes – King Menes is shrouded in mystery that may be lost in the folds of history forever. He is considered by many scholars to be the first pharaoh to rule Egypt and the first pharaoh of the Dynasty I period. 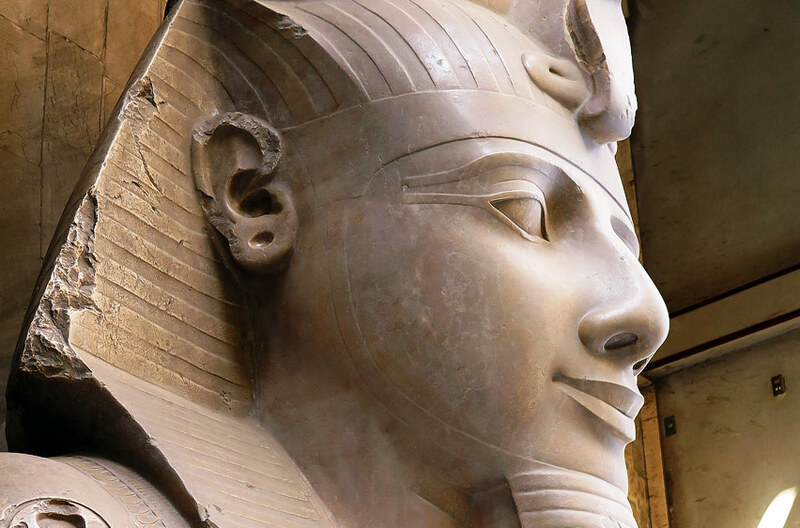 Ramses II – Come read about the pharaoh Ramses II as he is perhaps one of Egypt’s most powerful rulers. Snefru – Read about the pharaoh that was responsible for so many pyramids.